MUHARRAQ were last night crowned champions of this year's Zain Bahrain Basketball League. They clinched the crown following a 100-96 overtime victory over Riffa in game three of their best-of-five championship series. Muharraq were dominant in a virtually one-sided extra session yesterday, closing out strong and claiming a clean 3-0 sweep of the finals. With the result, the winners, who are coached by Serbian Ivan Jeremic (agency: BeoBasket ), took home their first league title since 2012, and also their third in the history of the national competition. Among those present at the game were Shaikh Isa bin Salman bin Hamad Al Khalifa and Bahrain Basketball Association President Shaikh Isa bin Ali bin Khalifa Al Khalifa. They presented the two teams their respective medals and trophies in an awarding ceremony at a packed Khalifa Sports City arena in Isa Town. Muharraq skipper Ahmed Hassan Aldurazi received the league trophy on behalf of his team. The American duo of Kevin Murphy (197-G-90, college: Tenn Tech) and Mike Harris (198-SF-83, college: Rice) combined for 59 of Muharraq's points in the win. Murphy was on fire with 37, including an impressive 16-for-18 shooting from the free-throw line. He also had eight rebounds and four steals. Harris chipped in with a monster effort of 22 points and 17 boards. The Bahraini backcourt of Aldurazi and Bader Malabes (183-G-87) also had key contributions. 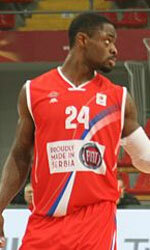 Aldurazi scored 16 points while playing all 45 minutes of the contest. Bader Malabes added 13 while firing in three three-pointers. For Riffa, their American tandem of Shawne Williams (206-F-86, college: Memphis) and Arinze Onuaku (206-C-87, college: Syracuse) had 54 points between them, but their efforts alone were not enough to get their team over the hump. Williams led the way with 33 points and 10 boards while Onuaku had 21 and 10. Onuaku fouled out in the first minute of overtime, leaving a huge void in the interior for Riffa. Mohammed Bullayallay had 13 markers while Mohammed Kuwayed had 11 points, seven rebounds and 11 assists in the loss. Muharraq began the game the aggressors and took a 20-16 lead at the end of the first quarter. Riffa, who are coached by American and former NBA champion Sam Vincent , turned the tables in the second and powered ahead 42-38 by half-time. Riffa enjoyed their biggest lead of 12 in the third following an Onuaku basket that made it 64-52, but Muharraq fought back and managed to get to within 60-66 after three. 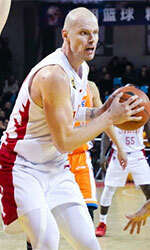 In the final canto, Muharraq quickly tied the game at 66-apiece on a Harris triple. A Bader Malabes basket from long range then gave them a 69-68 advantage, and later another Bader Malabes three-pointer put Muharraq up 78-68 to cap a game-changing 12-0 run. Riffa answered, however, and an 8-0 rally got them to within two. With less than a minute to go, Muharraq led 81-79, but a pair of pressure-packed free-throws from Riffa forward Mohammed Bullayallay with nine seconds left tied it and forced the extra five-minute period. In overtime, Muharraq went on an 8-1 run to go in front 91-84 with two minutes left. Two Murphy free-throws hen made it 97-88 with 37 seconds to play, but then baskets from Kuwayed and Buallay were able to reduce the margin in the end but they had no effect on the game's outcome.